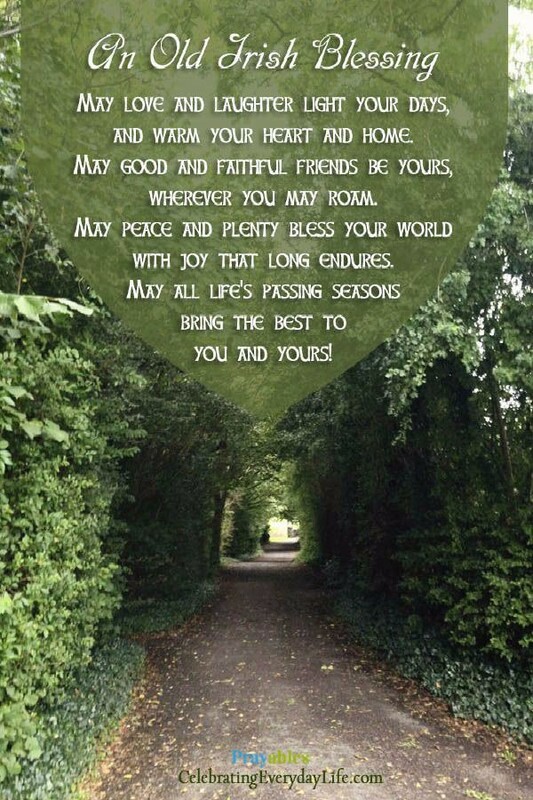 There is nothing like an Irish Blessing to get you in the mood for a very good, very green, very saintly story. Here’s a classic. 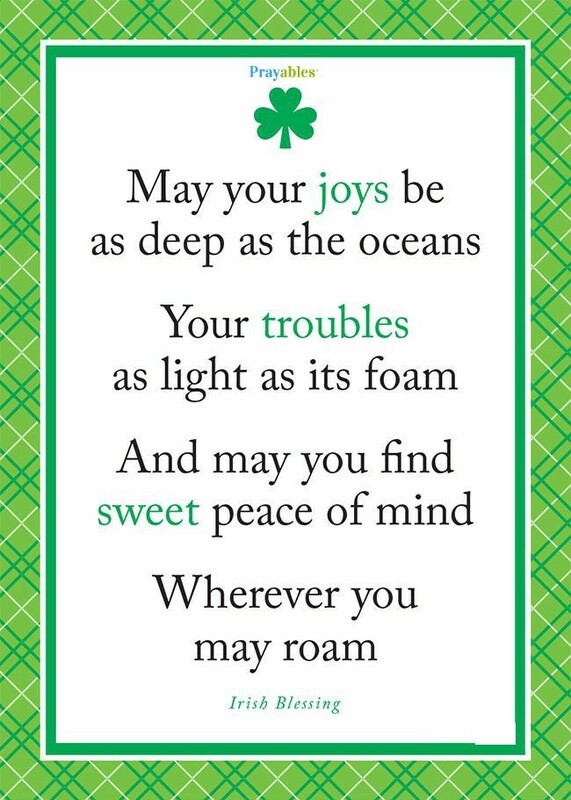 Another classic is the history of the saint behind the St. Patrick Day holiday. The story has an unexpected twist. 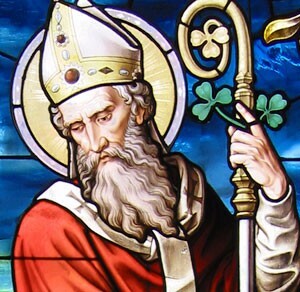 Saint Patrick was not born Irish, but English. 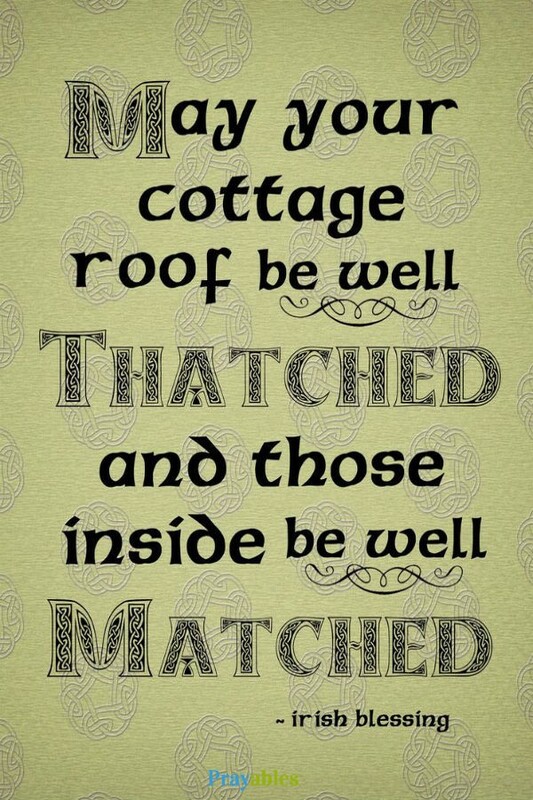 As a teenager living in England, St. Patrick, by his own writings, was admittedly very un-religious. He left those silly church things to his parents. The story is told that when he was 16, he was taken prisoner and put aboard a slave ship headed for Ireland. There he spent years as a slave of the Irish people. During this time, he had only one thing to comfort him, and that was the faith of his parents. He started to pray morning noon and night. He found tremendous strength and comfort in God. He found a profound spiritual presence with him at all times. He was not a victim, but a spiritual victor. He discovered a faith-filled person is a slave to no one. He found a profound peace within himself, as well as a new love for those that held him captive. One night he had a vision of an angel, that said to go to the Irish Coast, and there he would find the ship that would take him back home. On foot, he walked over 200 miles to the coast. There he found a British ship, that took him back home to England. But he did not leave his faith behind. He continued to study, and eventually became a priest. He had another vision one night during prayer. 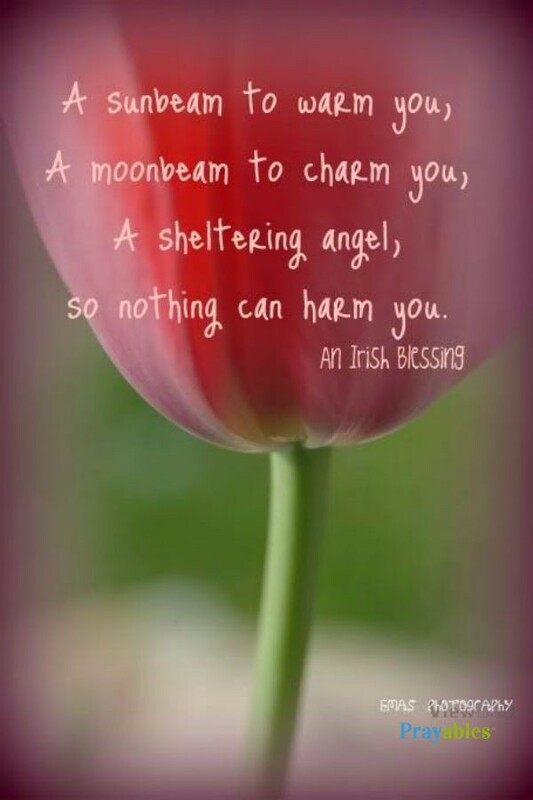 An angel told him, to go back to Ireland to convert those that formerly held him as a slave. Another might have rebelled against such a thought, holding contempt, or even hate, for those that locked him away, stealing his years, and his energies. But he had only love. Had he not been held captive and stolen away from his past lifestyle he most likely would’ve become a nonreligious farmer – at best. Through his adversity, he discovered everything important. Why the Four Leaf Clover? He went back to Ireland and spent 40 years there among the people that he loved, and that loved him. He was given the title “Patricius” which literally means “Father of the citizens.” He died March 17, 461. And he is celebrated the way he lived – not as a victim of years lost, but of life gained through strong spiritual awareness. 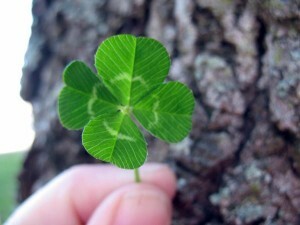 During his life, he pointed to a rare symbol of the four leaf clover. Hard to find, often overlooked, he taught it is the way to live, and discover full life, every day, no matter what outer circumstances you temporarily find yourself in. The first leaf is for faith. Faith always comes first, and when it is found, it strengthens the person in truthfulness and trustworthiness. The second leaf is for hope. Founded upon the first, hope is a positive element related to future outcomes in one’s life. No longer imagining the worst, you imagine the best, because God goes ahead of you preparing your way. The third leaf is for love. Not just love for another person, but love in appreciation of nature, all people – even past enemies, – and work. Lastly, luck. Not the luck of chance, but the luck of spirituality, knowing the actions we take today, will bring fruitful results because of our ever-abiding faith in God. Before, I was humiliated. I was like a stone that lies in deep mud. God who is mighty came and in God’s compassion raised me up and exalted me very high and placed me on top of the wall. Do you get the Daily Blessing? They may not be Irish, but you’ll love them all the same. Sign up now. Please pray for Eric . Please pray for his conversion to faith in Jesus Christ. Please pray for the salvation of his soul. Pray for God’s grace and mercy to heal his soul! !